Arc Alternatives: How visual is your Schedule? 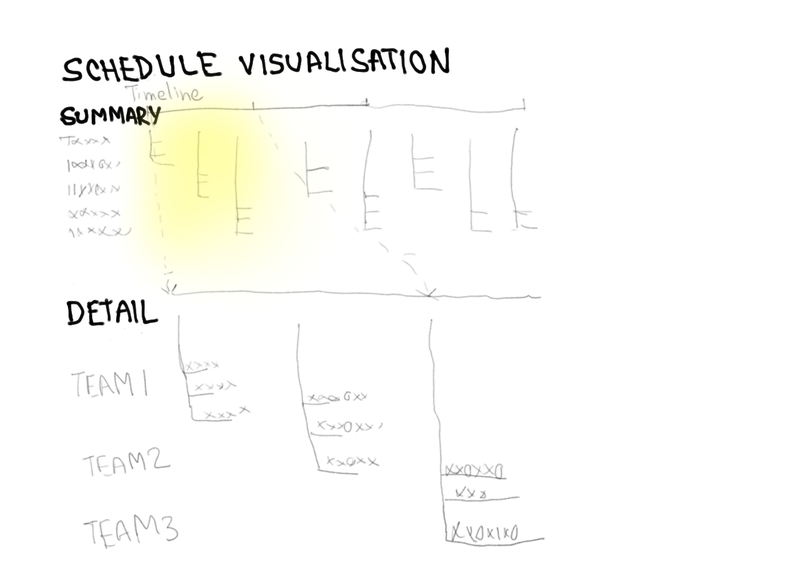 How visual is your Schedule? Recently I attended the annual Wikipedian gathering called Wikimania in Hongkong. One session I particularly liked was called Imagine Wikipedia in 2022. The lead presenter shared the forecast that Wikipedia will become personal, linked up and Visual by 2022. We are increasingly living in digital world and visual content is becoming more common in our social media circles. That set me thinking about the nature of use of visuals in Project Management. When I was the program manager several years back, I remember making a huge schedule. Even after printing on A0 size plotter, it was too detailed and relating the gantt chart to the task text is difficult, as connecting lines spread across vertically or horizontally. I reverted to use of digital schedule and emailing the same to project team, with occasional display of printed schedule for major meetings. The closest way to make a presentable schedule was to show the summary tasks along with their status. Later I switched to detailed schedule till the upcoming milestone and a gross schedule for subsequent tasks, which helped bring down the complexity. Edward Tufte, who is notable for his thoughts on Information Design and data visualisation, has a page on Visualisation of Schedule on his website which is worth reviewing. He recommended presenting the big picture and then showing the detailed view of the relevant segment. Microsoft Project never implemented it as an off the shelf graphic feature. Some software add-ons or independent software were realized to support this requirement. With the availability of Smartphones, the problem severity increases because of the small screen. The availability of touch screen can help in providing the necessary detail for the selected part of the schedule. The agile camp side stepped the problem by introducing short time boxed sprints which has small number of tasks. The task status is sometimes represented visually using Kanban cards. How do you handle complex schedules? Share your views.